People can be ridiculously stupid. Don’t believe me? Just take a look at the latest trend sweeping the internet — high five selfies. As most hypes do, it all started on Twitter. With obviously nothing else to do, Seth Schneider had the ‘proudest day’ of his life. Though it’s unknown how many tries it took, he managed to get the shot, and ultimately started a new movement. 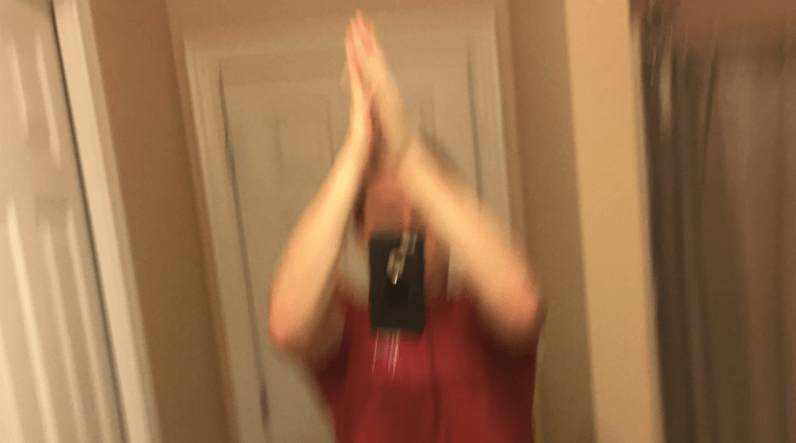 Over the last few days, hundreds have tried to take a picture high fiving themselves. It’s fairly easy to do — just press the shutter button, drop your phone and quickly high five yourself. The result looks kind of cool, if you don’t pay attention to the phone quickly falling to the ground. There are no numbers yet on how many phones ended up being destroyed yet, but it’s obviously a dangerous endeavor. I’m definitely not recommending anyone to attempt this blurry, phone-damaging selfie. But if you’re dumb — I mean brave — enough to try, feel free to share your photo in the comments.